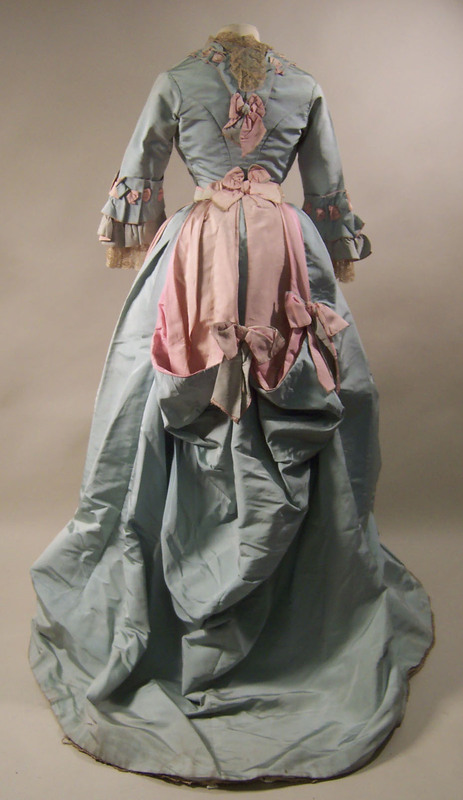 Pale green-blue corded silk, trimmed with pink corded silk. 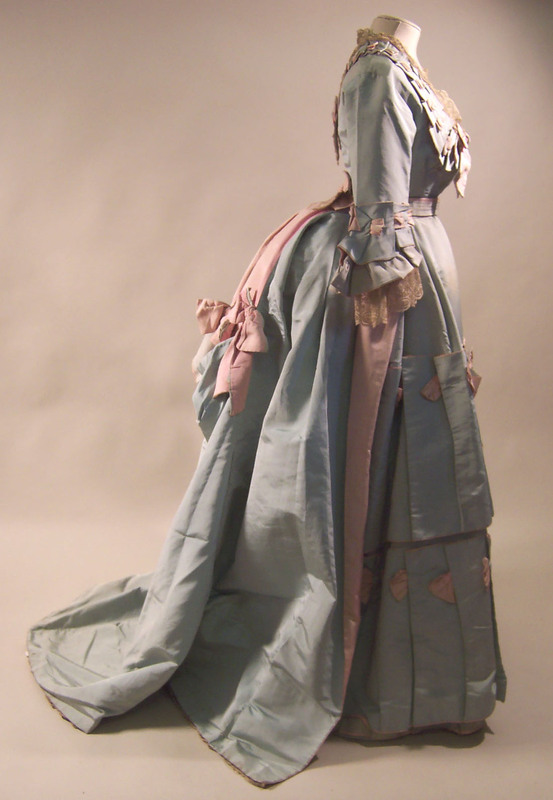 Dress with two bodices. Bodices lined with white glazed cotton. Day bodice : Front fsatening with buttons to low rounded neck. Short flared basque. Elbow length sleeves. Neck trimmed with frill and drawstring. 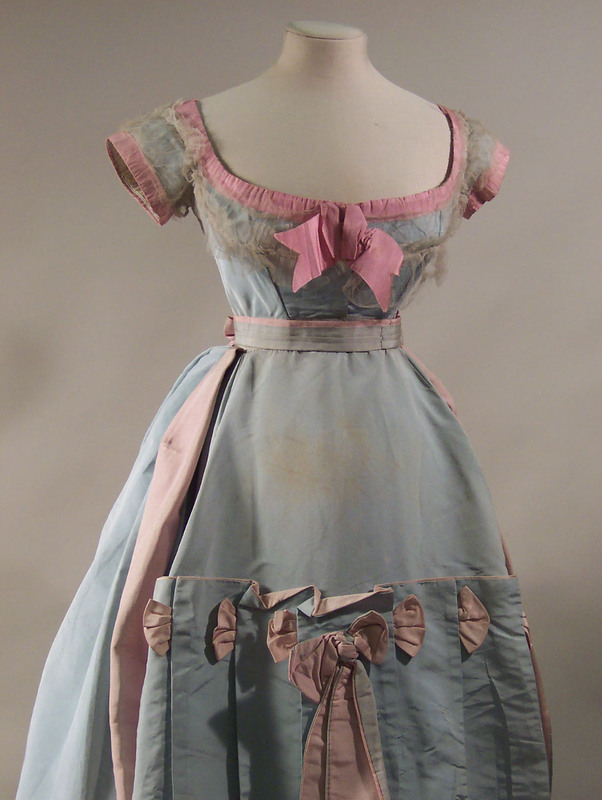 Pink and blue silk bow at front neck and centre back. Evening bodice : Low rounded neck. Fastneing centre front with drawstring at neck. Short sleeves. Trimmed with bow centre front neck and white net. 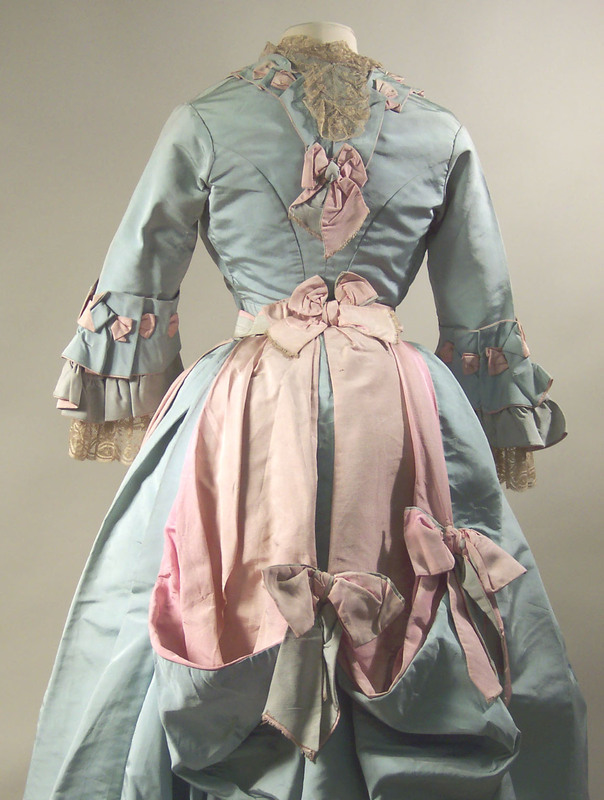 Pink blue hanging ends centre front waist. 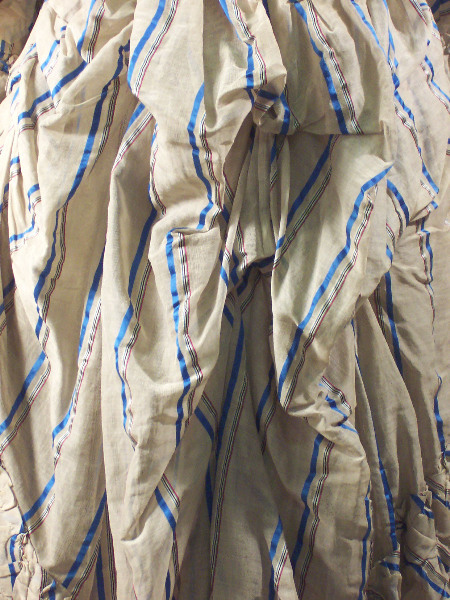 Skirt : Fastening front left. Trimmed with pleated frills and central bows. Back cut to fall like train. Centre back cut, draped and trimmed with pink silk and central bow to produce puffed effect. 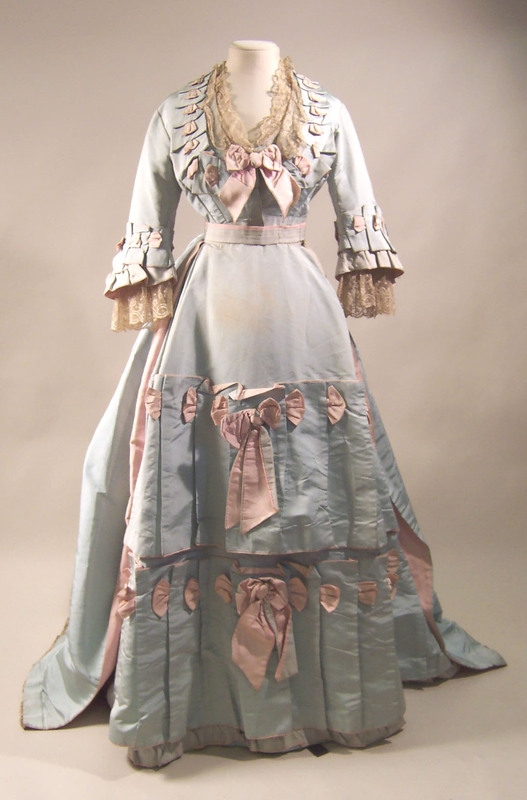 Belt : Blue and pink silk over white twilled silk, fastening under bow.